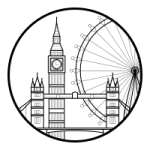 The International Conference on Advanced Research in Social Sciences (ICARSS), March 7- 9, 2019 in London, UK, is the premier forum for the presentation of new advances and research results in education theory and practice. Society and Sociology, Communication,Politics,Law, Humanities and Culture Studies and Education . Other related topics will also be considered.